Lock laces are my go to bungee-style laces right now. They are a good combination of value and functionality. They are pretty simple to put on as they lace like standard shoe laces and then you thread the two ends through a spring loaded lock and then knot the ends around a plastic piece. Excess lacing can then be trimmed. 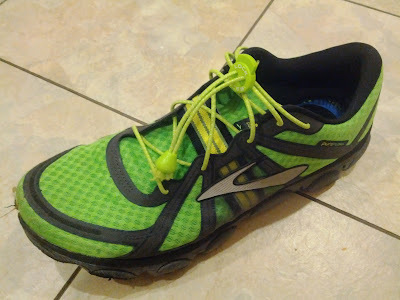 The laces can be tightened/loosened pretty quickly and provide a good snug fit. Bonus is that the laces come in a ton of colors. The only negative I can think of is the spring loaded lock. If the spring breaks (which has never happened to me), you probably have to buy a new pair of laces. Also, you will probably end up cutting the ends that go near the plastic slider so Lock Laces probably aren't re-usable. 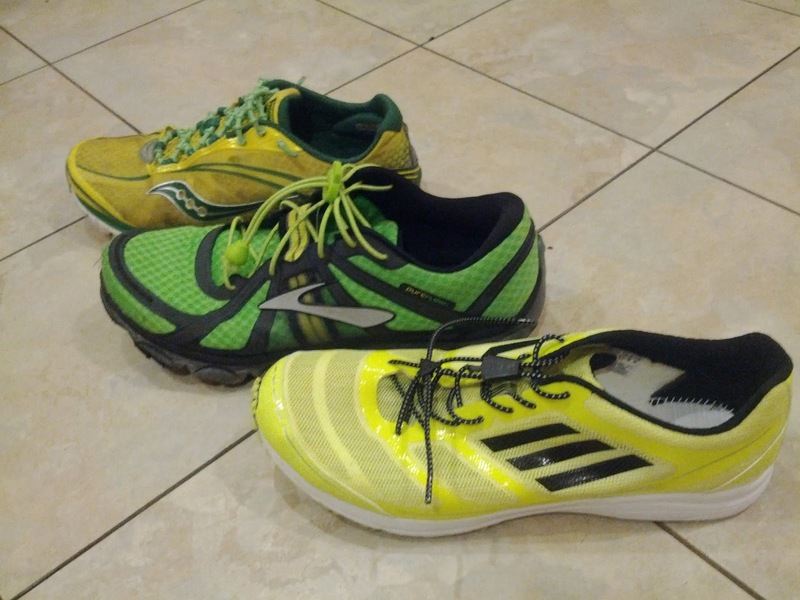 On the opposite end are Yankz, which I primarily only use if I get a free pair at a race or as a promo. My main issue with Yankz is that I think they really over complicate the concept of bungee laces. 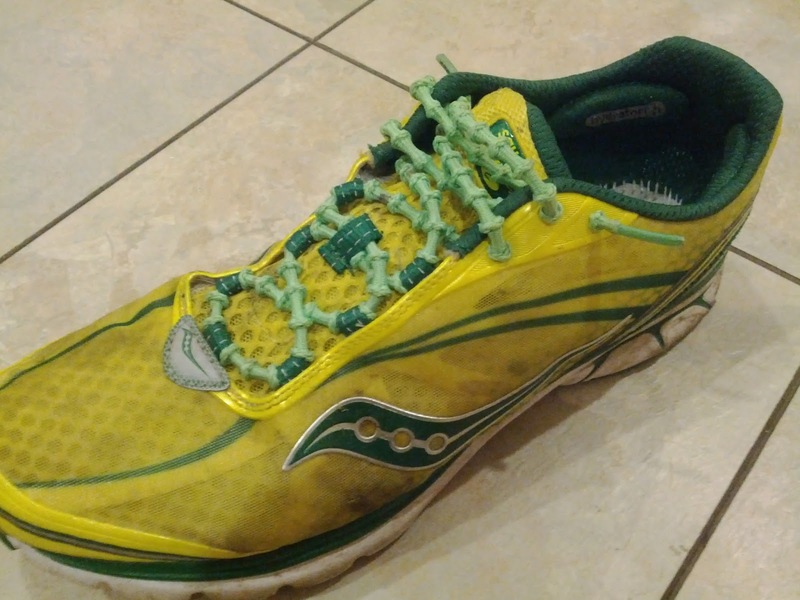 You lace the bungee backwards so that the ends come out toward the front of the shoe. 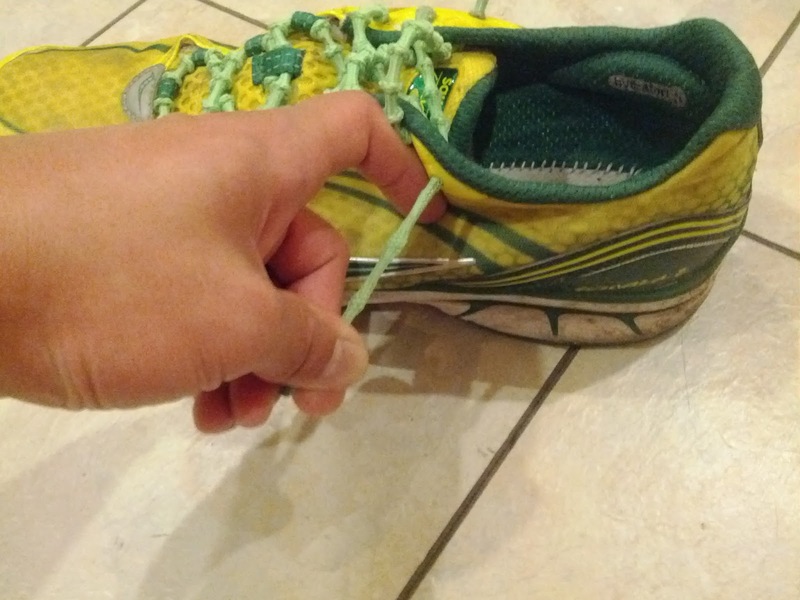 You then thread the laces through a hook that connects onto a loop at the top of the shoe. Although the Yankz provide a snug bungee lacing system, adjustability is a concern. On the positive side, there are no moving parts unlike the spring on the lock laces so the potential to malfunction is less. Also, you could theoretically re-use these laces for other shoes since you don't have to cut anything. At the premium end of the bungee lace spectrum are Xtenex. I first saw them at Ironman Arizona back in 2010 and got a pair for my Kinvara 2's in 2011. The main feature of the laces are that they have little "balls" through the lace that let you dial in an exact fit as you lace the shoes. When you pull on the lace, the ball goes "flat" which lets you lace through the shoe's eyelets. Adding slack restores the balls within the lace. 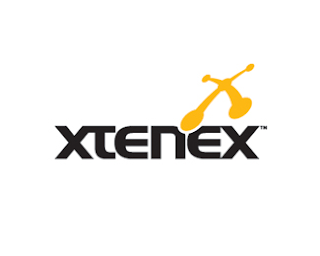 If you like it less snug toward the forefoot, snug across the midfoot, and loose again toward the ankles, the adjustability of the Xtenex can let you do that. 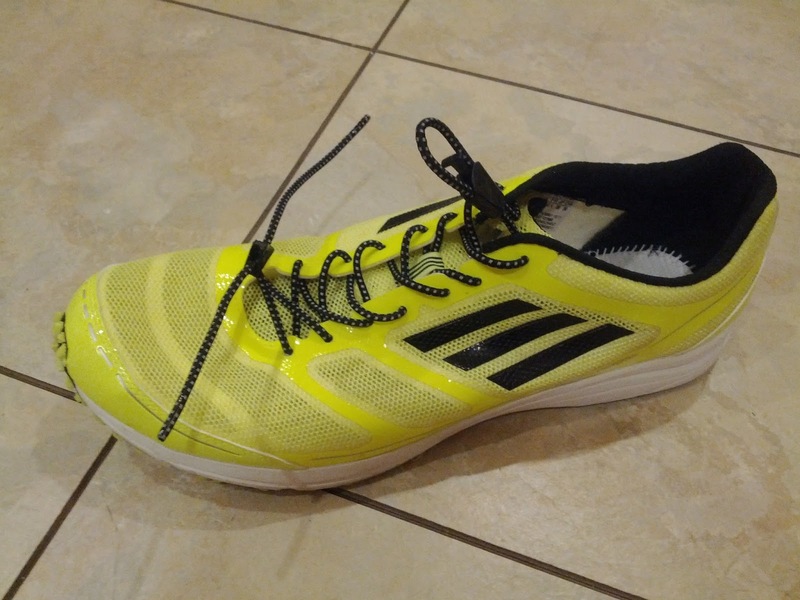 Due to the way the laces are, it does take a bit longer to put on/take off these laces. 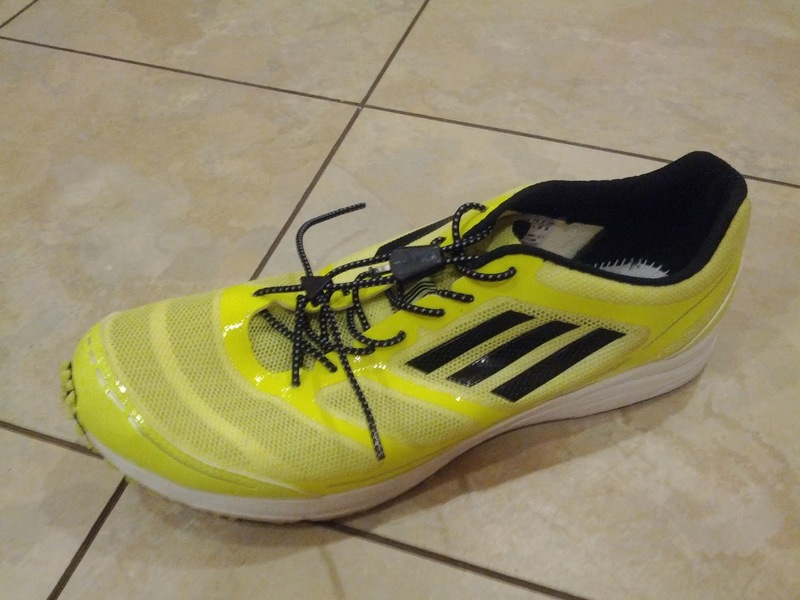 The laces themselves are straightforward in that there are no other parts, just the laces. The only drawback is that the Xtenex are the most pricey at about $15 a pair but since there are no moving parts, you could easily re-use the laces if you wanted to multiple times, which brings the price down "per shoe" The Kinvara 2's themselves are shot so I've moved the laces onto my Merrell Bare Access shoes and could probably use them again for another pair of shoes as long as they match the neon green laces. The Xtenex also win the award of "coolest looking shoelaces" as they get the most comments/questions from people when they see them. Good post! I actually never had the patience to figure out Yankz, so I bought a pack of generic elastic laces online and then just use toggles that the Fuel Belt company sells (presumably for their race belts)...never had a problem with 'em and since I had more than one pair of toggles and like, 10 laces I could accomodate a bunch of different shoes. Last time I was shoe shopping, I was told by the lady at Rittenhouse Sports Specialty that elastic laces aren't ideal for straight running because the laces can add to the support of the shoe (or some other important reason like that). I don't have them in my newer sneaks, but then again haven't had the time to do mileage where I really need to worry about the shoes getting untied.